Note: Those persons who are suffering from such conditions like poor blood circulation, diabetes or nerve damage in leg or foot are not recommended to do the self-treatment. 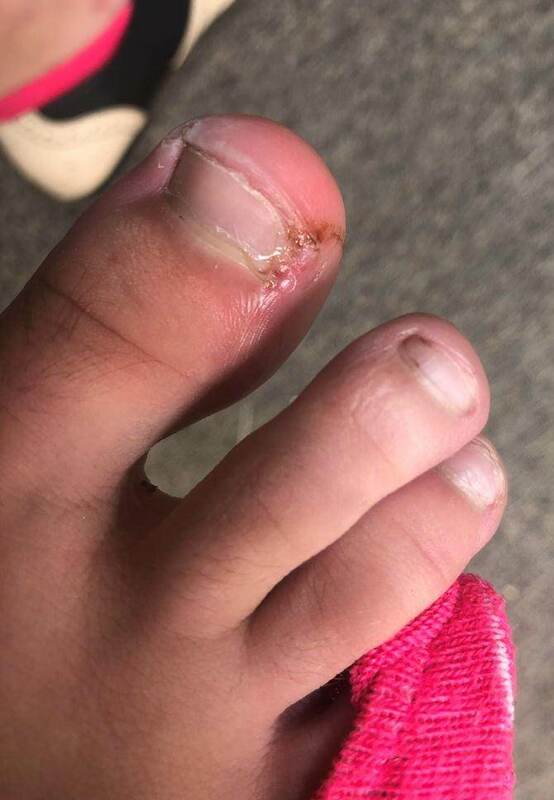 When the corner or side edge of a toenail grows into the soft flesh nearby the skin is called as ingrown toenail, also known as onychocryptosis. This is the common problem among the people and causes a lot of discomfort most probably in the toenails, fingernails can also become ingrown. The main causes of ingrown toenails might be wearing the tight-fitting shows, improper trimming of the nails, injury or unusually curved toenails. People suffering from health problems and poor blood circulation to the feet are at higher risk of getting into this painful condition. Symptoms might show while having the ingrown toenails include redness and swelling, persistent pain, onychocryptosis can lead to the infection. Infection when starts to spread, drainage of pus and watery discharge come out with blood. But do not worry; you can easily treat your ingrown toenails at home if you notice this condition early. Immediately see the doctor if you feel any kind of infectious sign or else it may cause complications. Here are the top 10 remedies of ingrown toenails. When you have ingrown toenails, soak your foot under the warm water few times a day as it will give you a relief from swelling, pain and tenderness caused due to this problem. Soak your feet in it for 20 minutes. Do this remedy 4 times a day to get proper relief. After you have done the warm water soak, now place cotton wedge under your affected toenail so that it will be helpful for it to grow above the skin. This will ease the pain and speed up the healing procedure. Soak your feet in warm water and dry them. Lift up the attached nail with the help of the tweezers. Replace the cotton every time you soak as to prevent the infection to be happened again. Epsom salt, also called as magnesium sulphate is good for treating the ingrown toenails. Epsom salt helps in soften the skin around the affected area. It also removes the inflammation. In a tub filled with warm water, mix 1 tbsp of Epsom salt. Remove from water and dry your feet. Repeat this procedure for 4 times a week. Apple cider vinegar is also good for ingrown toenails as it contains anti-inflammatory and antiseptic properties that work to give relief from the symptoms. Not only has this but it had mild acidic nature that prevents the infection. Mix equal amounts of raw, unfiltered apple cider vinegar and warm water in a small foot tub. Soak the affected toenail in this solution for about 30 minutes. Dry your toenail thoroughly after doing this. Another thing you can do is soak a cotton ball in a raw, unfiltered apple cider vinegar and place it on the affected area. Cover it by a bandage for couple of hours then remove it. Hydrogen peroxide is a disinfectant that reduces the risk of infection and inflammation caused due to an ingrown toenail. In a small tub of warm water, mix approximately ½ cup of hydrogen peroxide. Do this remedy for two times daily. You can also use turmeric to get rid of ingrown toenail discomforts like pain, swelling and inflammation. A compound is present in turmeric called curcumin which has antiseptic and anti-inflammatory properties. Make a paste of ½ tsp of turmeric powder and a little amount of mustard oil. Smear the paste all over the affected toe and cover it with a bandage. Repeat 3 times daily for few days. Optionally, you can apply antibiotic cream which has curcumin on the tender area then bandage the toe. Reapply 3 times daily. Boil 1 tsp of turmeric in a glass of milk. Drink it twice daily to reduce the pain. The antiseptic nature of tea tree oil is helpful for relieving the pain and reducing the risk of infection due to an ingrown toenail. Put at least 2 drops of tea tree oil in 1 tbsp of any carrier oil like coconut or olive oil. Apply it on the ingrown toenail and cover with a bandage. Do this remedy at least three times daily until you get the satisfied result. Indian lilac is commonly known as neem. It has inflammation-reducing and pain suppressing properties and swelling due to an ingrown toenail. Boil a handful of neem leaves in 4 cups of water. Strain and allow it to cool down a bit. Soak the affected toenails in this solution for 15 minutes. Make sure you dry the area and repeat the process twice daily. Apply neem oil on the affected area before going to bed and leave it overnight. As to prevent ingrown toenails, it is necessary to trim your nails correctly. Always trim your nails straight across and do not give them a curved shape. While trimming, always start with the edges, not the middle part. It is also important to file the nails to avoid any sharp edges. Use good quality of nail clipper and file. Keep your toenails at a moderate length. 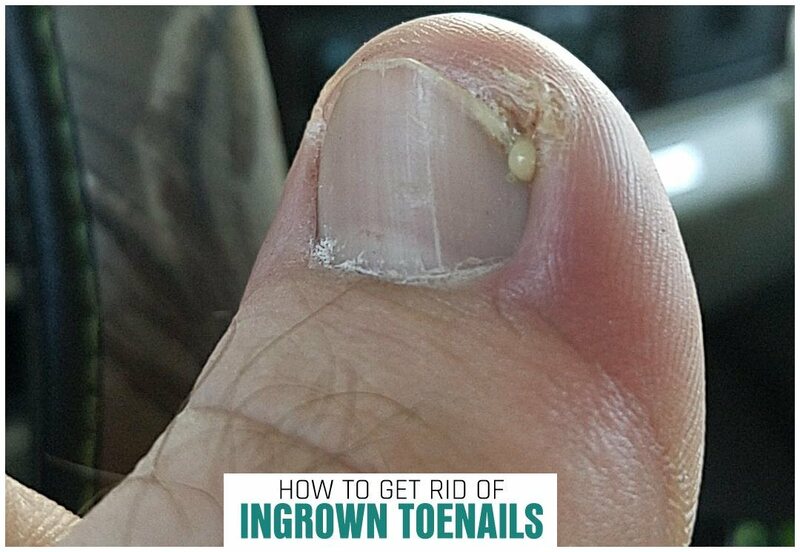 If you cut too short, they might dig into the skin as they grow, ultimately causing an ingrown nail. When suffering from an ingrown toenail, wear open-toed shoes or sandals to provide the affected toe enough space and allow it to breathe to heal quickly. Always consider wearing the sensible footwear to prevent ingrown toenails. One of the main reasons behind the painful nail problem is wearing the poorly fitting and tight footwear. While you are at home, do not wear socks and shoes. Keep your feet dry as much as you can. Take care of your feet properly and trim your nails straight across regularly to prevent such kind of problems. Maintain proper foot hygiene and properly fitting footwear. Wear only cotton soaks and change them daily. If an ingrown nail persists for a couple of week and you see a sign of infection, consult to your doctor.